Made from 100% genuine full grain leather stitched to a soft padded split leather lining. Wont collect hair or fray like nylon collars. These collars are sturdy, beautiful and comfortable. Your pet will look great while walking, training, and relaxing in this comfy collar. The heavy duty metal clasp and leash ring are built to withstand strong pulling breeds and stay securely fastened. The finished leather resists water & stains with minimal care and cleans up easily with soft damp cloth. Available in 5 colors with matching full grain leather leashes available. I love this collar! It is extremely sturdy and looks great! My golden has some skin issues, and the padding on this collar really seem to help her. Most of her other collars would rub her skin raw around her neck, but so far, this collar is not affecting her at all. I also have one of their leashes and I highly recommend both products. I would say that I will by them again, but with how well made these are, I probably won't have to buy another collar and leash for years to come. 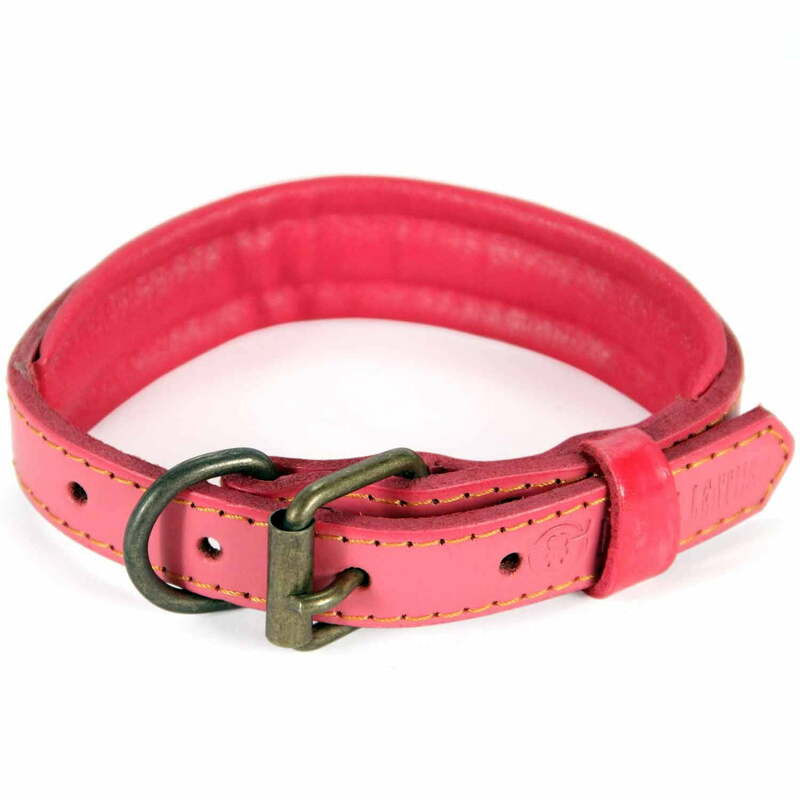 Congratulations, you have found descriptions, reviews, prices, and availability for Logical Leather Padded Leather Dog Collar, Brown L. Our crawler software prepared this page for you while searching for "Dog Collars" and related Pet Supplies products at Walmart. If you have any questions on this product, please give us a call at 734-971-1210 during the hours of 9am - 5pm EST for assistance. Thank you for shopping at Tbook.com, the Internet Department Store!